Bruce Kemp is an internationally known, award-winning writer and photographer. He has covered everything from fine dining in Europe to the America’s Cup and voyages through the Northwest Passage. He has also been the editor of Travel A La Carte, Sailing Canada and SailOntario. His previous books include: The Complete Travel Writer, the Ports Cruising Guide to Lake Erie and Lake St. Clair, the 2006 update to the Ports Cruising Guide to the Rideau Canal, the recent Weather Bomb 1913: Life and Death on the Great Lakes and the novel Letters From A Fugitive’s Son. 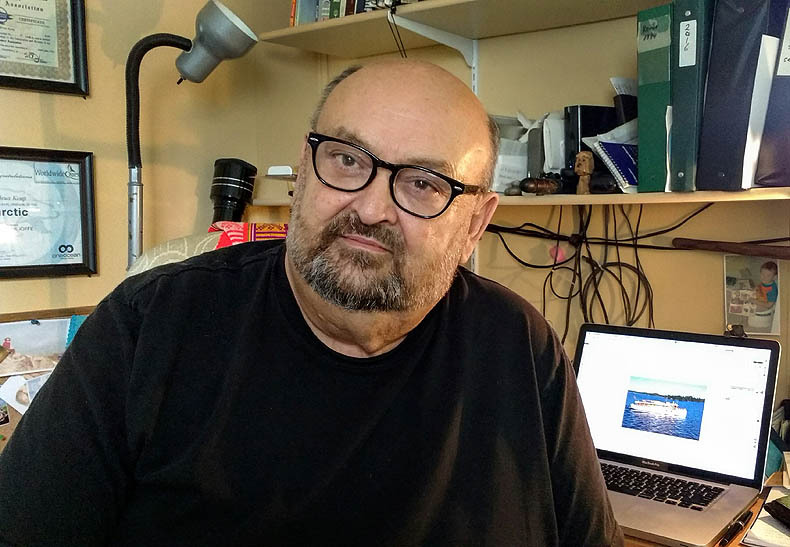 Bruce taught his craft for more than twenty years starting at Lambton College, George Brown Collage, Okanagan College and the Centre for Arts and Technology (Okanagan). Over the span of more than thirty years, Bruce’s writing and photography have earned him numerous awards from his peers. His first national nomination came in 1987 when he was nominated as Nabisco Food Writer of the Year (Humour). In 1991 he was awarded the Lake Ontario Racing Council’s top honour for Best Colour and Composition in a sailing photo, as well as the Best Sailing Photo. In 2003 he won the Travel Media Association of Canada/Starwood Hotel’s Best Travel (People Photo – national). 2005 saw him win the Metroland In-House Design and Layout Award. Then 2006 was a very good year for him as he won the Travel Media Association of Canada’s Best People Photo once again plus the Ontario Tourism Marketing Partnership Award for Best Travel Journalism and he capped the year off by taking home the prestigious international award of Caribbean Travel Photographer of the Year for his work on Trinidad’s annual Carnival. In 2011 he was once again on the podium to accept the Travel Media Association’s national award for Best Travel Photo (People), a feat which he repeated in 2014 along with a second place in family feature writing, and an Outstanding Achievement Award for Best Story About Travel In Canada.